At IFA 2016, on September 1st, 2016, the Huawei Consumer Business Group introduced the Huawei Nova and Huawei Nova Plus. They are the first smartphones in the new series designed to meet the needs of today’s most dynamic consumers. At an exclusive launch event held at the Velodrom in Berlin, world-renowned fashion blogger Xenia joined Richard Yu on stage and praised the Nova’s high-end design features and fantastic camera, calling the device a “must-have” for her fast-paced, camera-ready lifestyle. With the Huawei Nova series, Huawei continues to defy expectations following its successful smartphones launches earlier in 2016. This includes the Huawei Mate 8 and its advance security features as described in Huawei G8 on Sale at FLOW Jamaica Stores where Earth Meets Sky which is available in Jamaica at the Huawei Experience Store located at Shop No. 10 in Tropical Plaza Half-Way-Tree. The Huawei P9 which redefined the standard in smartphone photography, isn’t in Jamaica as yet, but was teased at the Huawei’s ICT Innovation Exhibition 2016 back in June 2016 as noted in Huawei’s ICT Innovation Exhibition 2016 set for Telecom and Enterprise Services. So what does the Huawei Nova bring to the Table? The Huawei Nova and Huawei Nova Plus are the beginning of an exciting new series designed to defy expectations. The series delivers brilliant usability features combined with stunning looks, powerful performance and fantastic camera which continues Huawei’s commitment to innovation and design. The Huawei Nova smartphone’s curved surfaces and 5-inch screen connect seamlessly. This creates an ergonomic, compact design that fits perfectly in the user’s hands, enabling single-handed functionality. The Huawei Nova is easy on the easy draws inspirations from curves found in modern architecture. It’s curved metallic back polished by an advanced sandblasting process, hairline finishing and signature oblong composite panel stretching across the top of the phone. So what are the specs on the Huawei Nova and Huawei Nova Plus? 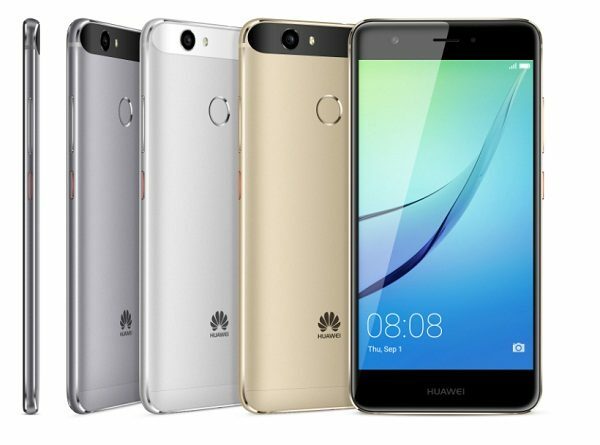 Huawei Nova and Huawei Nova Plus are both 5″ Smartphone that are built to impress with their brushed unibody aluminium design, similar to the Huawei P9. The Huawei Nova runs on Google Android 6.0.1 Marshmallow and uses Huawei’s signature Emotion 4.1 U. It boasts dimension of 141.2 x 69.1 x 7.1 mm (5.56 x 2.72 x 0.28 in) and weighs in at 146 g (5.15 oz). The 5″ IPS LCD capacitive multi-touch touchscreen sports a resolution of 1080 x 1920 pixels with a 441 ppi pixel density screen capable of displaying some 16 million colours. A Dual-SIM smartphone, it uses the nano-SIM Slot, with the other Slot doubling as a microSD Card reader. The Huawei Nova Plus is slightly heavier at 160 g and is slightly wider and thicker with dimension of 151.8 x 75.7 x 7.3 mm (5.98 x 2.98 x 0.29 in). Same OS, dual-SIM, and screen resolution, just that the screen is a 5.5″ deal. Both use Octa-core 2.0 GHz Cortex-A53 with a Qualcomm MSM8953 Snapdragon 625 chipset built with the ultra-small 14nm process and sits snugly within an Adreno 506 GPU for graphics support. Translation: increased performance using less power. The processor is supported by a 32GB Internal Memory and 3GB RAM. The Cameras on the Huawei Nova Series are pretty impressive too, with the cameras designed to take more vivid photographs to support consumers’ fast-paced lifestyles. The Huawei Nova differs from the Huawei Nova Plus when it comes to the Rear-facing camera. Customers will find it easy to express their unique personalities in perfect selfie or thousands of shots on a single charge with an 8 megapixel front-facing camera. The unit comes packaged with proprietary Beauty Makeup 2.0 and Beautiful Skin 3.0 applications, which apply cosmetic effects and skin smoothing filters to create more flattering images. The Huawei Nova has a 12 megapixel rear camera with 1.25um larger pixels. Along with an enhanced wide-aperture lens, dual-LED Flash and imaging sensor, the camera is capable of capturing photos in low-light conditions. The Huawei Nova Plus totes a 16 megapixel rear camera and produces sharper, clearer and more richly refined photos in any environment. Both smartphones in the Huawei Nova series supports fast autofocus that makes taking moving real-life photographs lot easier, shooting video at 2160p at 30fps. Combined with the more accurate 360-degree unlocking, the result is improved security, convenience and single hand selfies. Your pictures and videos of your private and intimate moments are kept safe thanks to the next-generation 3D fingerprint sensor that takes only 0.3 seconds to identify a user. Finally, the Huawei Nova Plus’s Non-removable 3340 mAh battery with Smart Power 4.0 can power longer sessions with apps, delivering longer battery life and allowing users to take thousands of selfies in a single short. 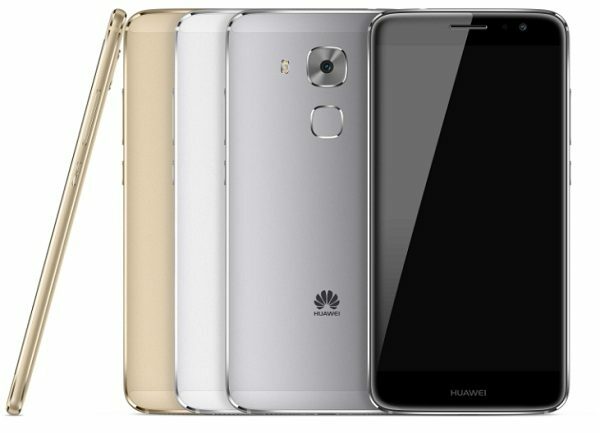 Clearly, the Huawei Nova and Huawei Nova is a Supernova of Metallic Gold, Silver and Grey Brighter than a Billion Suns!